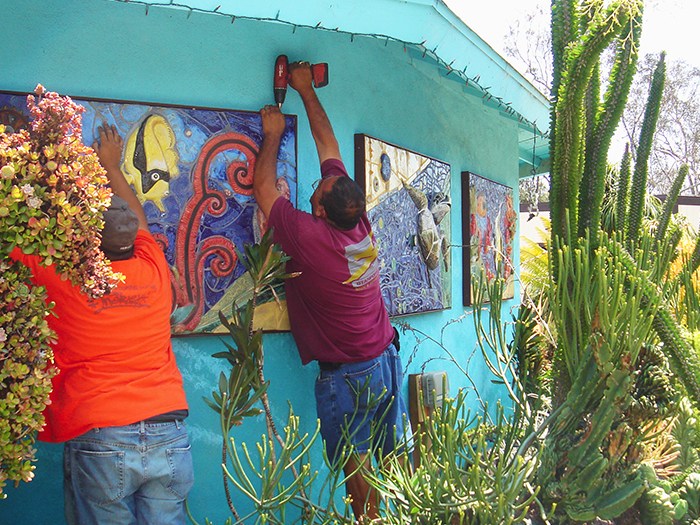 Betsy Schulz designed a Hawaiian-inspired mural for Java Kai, a small cafe in Del Mar, California. 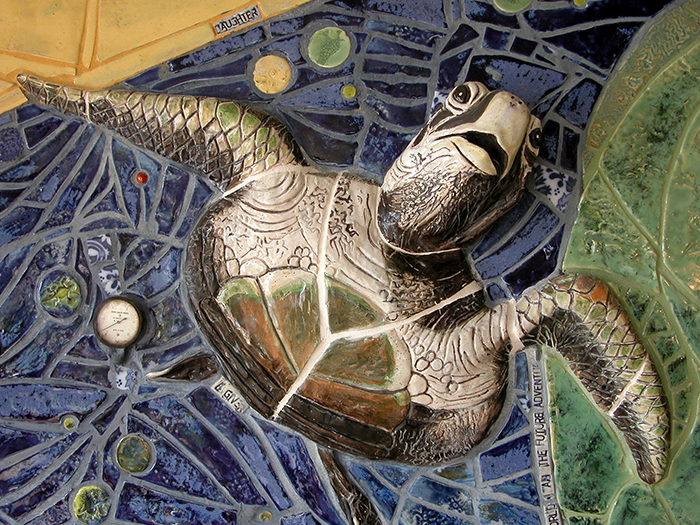 The owners, Vince and Sheri Martinelli, wanted art that would make the cafe a landmark and that would be fun and interesting for children and adults alike. 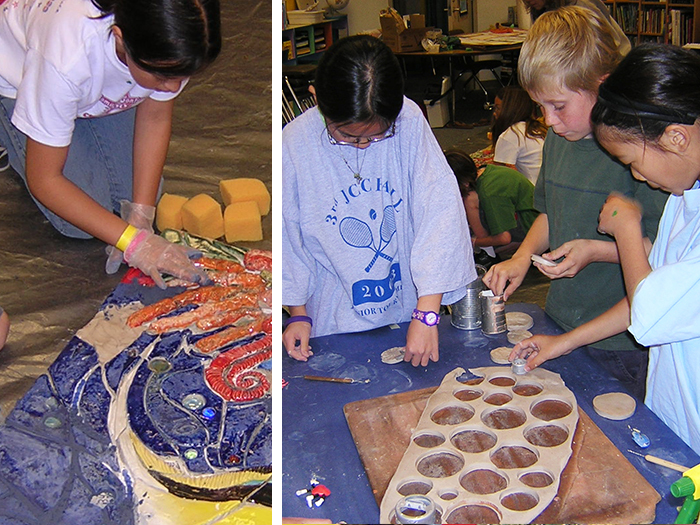 Schulz enlisted students at Del Mar Heights Elementary School to help make tiles for the mural and to help assemble it. 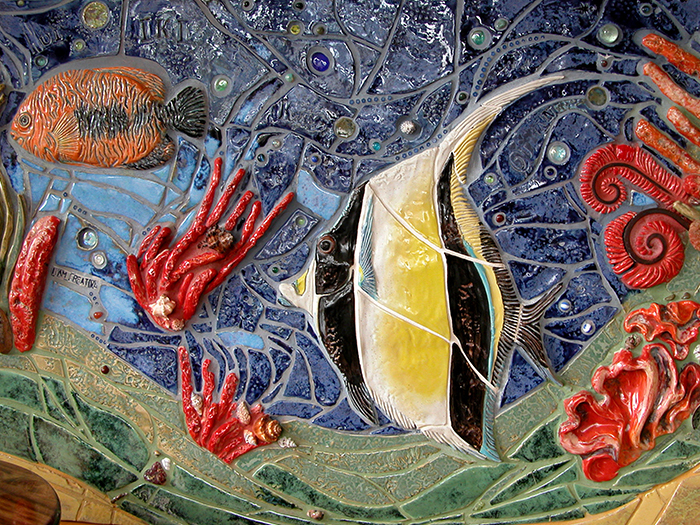 The mural hung in the cafe for nearly six years. 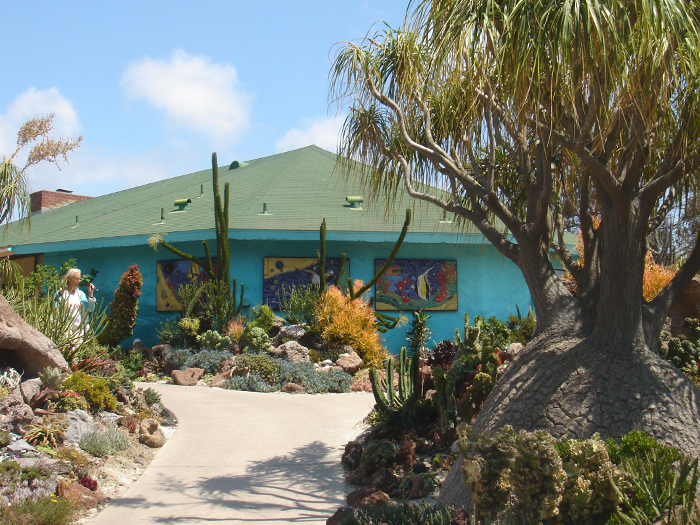 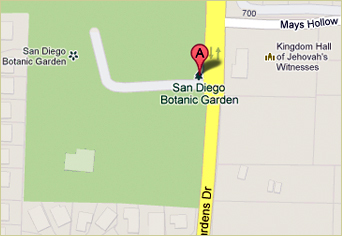 After the cafe closed in May of 2009, Schulz donated the mural to Quail Botanical Gardens (now San Diego Botanic Garden) in Encinitas, California, where it hangs behind their “undersea” succulent garden.